Did you see the yellow flags dotting the roadsides the week after Easter? 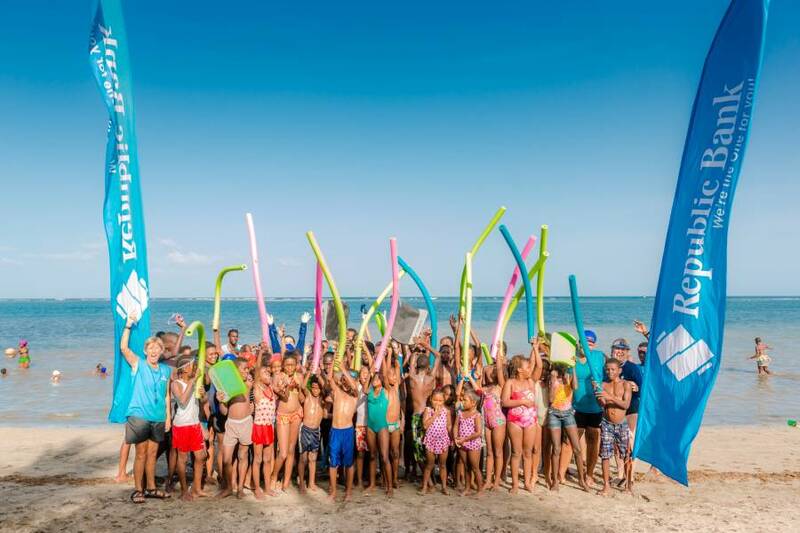 They were marking the sites for the busy week around the island as 14 locations (including Carriacou) hosted free swim lessons for children and adults. In total, over 800 individuals were taught to swim during the National Learn to Swim Week. Participants had the option of taking up to 5 lessons over the course of 5 days, and most all were found to be “water safe” and moving through the water by the end of the week. Several children convinced their mothers to take lessons along with them. The new addition of White Sands Beach, just south of Grenville, had over 200 swimmers that week! In total, over 800 individuals were taught to swim during the National Learn to Swim Week. Participants had the option of taking up to 5 lessons over the course of 5 days, and most all were found to be “water safe” and moving through the water by the end of the week. Several children convinced their mothers to take lessons along with them. The new addition of White Sands Beach, just south of Grenville, had over 200 swimmers that week! 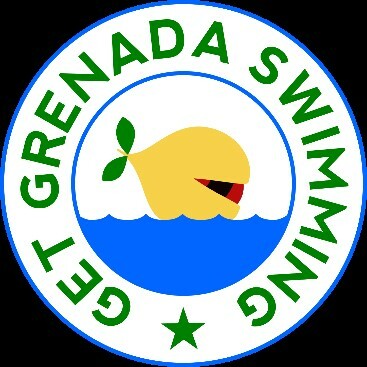 Spearheaded by Grenada Youth Adventurers (GYA), the organisation announced an expansion to the National Learn to Swim Week with its new programme called “Get Grenada Swimming”. Their goal is to teach 8,000 children by 2021. (This is half of the population of children in Grenada between the ages of 5 to 14). Deb Eastwood, Director of GYA, states, “If we can teach half of our children to swim, they will teach their brothers and sisters and grow up teaching their children. We could be the first country to break the Caribbean culture of “fear of swimming.” Eastwood estimates 90% of our nation does not know how to swim. Besides being able to enjoy Grenada’s beautiful beaches, safety is big on the goal of getting people to learn to swim. According to statistics published by the Global Disease Burden, 6 people die every year from drowning in Grenada (one of the highest rates in the Caribbean). The Ministry of Health reported 36 drownings from 2010-2015. In addition, several instances in 2016 really brought home this story. On Sunday, 25 September 2016, the dead bodies of 26-year old Travis and 22-year old Karim were fished out of the bathing pool at the Concord waterfalls. Police reports confirmed that Karim experienced difficulties whilst swimming and Travis went to assist him. They were both pronounced dead at the scene. On 7 February 2016, a boat headed to Carriacou with 11 on board capsized and 5, who could swim, made it safely home. Two bodies were found and 4 are still missing. The GGS programme is aimed at reducing the number of drownings occurring each year in Grenada. Adding an additional “Learn to Swim Week” sponsored by Sandals this year, 10-14 July (the week after children get out of school for the summer). Opening more locations for free weekly swim lessons on Saturdays. Currently, there are lessons offered in front of Umbrellas in Grand Anse, the Go Cool Steps in Grand Mall, Grenada Marine in Corinth, Lumbadive in Carriacou, White Sands in Soubise, and Bathway. Most of these locations teach from 9 am – 10 am each Saturday. The plan is to have 12 locations by the year 2021. Running an 8-month long certification programme, (also sponsored by Sandals) to train more swim instructors/coaches to be able to implement swim programmes within the schools and have enough instructors to teach in the Saturday morning programmes and during the “learn to swim” weeks. The first class of 24 instructors is 2 months into their programme spearheaded by Nataly Regis Sihera, Senior Swimming Coach for the Ministry of Sports. Sihera has developed the curriculum and nearly all her students in this first class taught students during the recent National Learn to Swim Week. A new class will be starting soon for those interested in becoming swim instructors.